-is there a danger for my King? -which of my pieces is being attacked? If you find any immediate danger you should deal with it. For example, if your piece is being attacked you should either move it away or defend it if (and only if) you think the trade is beneficial for you or at least is equally good as for your opponent. If you did not find any immediate threats you should look at the board and see what weaknesses in opponent’s camp that move could have caused. Maybe that piece does not defend some other pieces or squares it was protecting previously or the opponent’s King position got weaker. This evaluation is helpful for coming up with a plan. You may want to read more about how to deal with chess threats. That can sound simple but it’s what really separates stronger players from weaker ones. 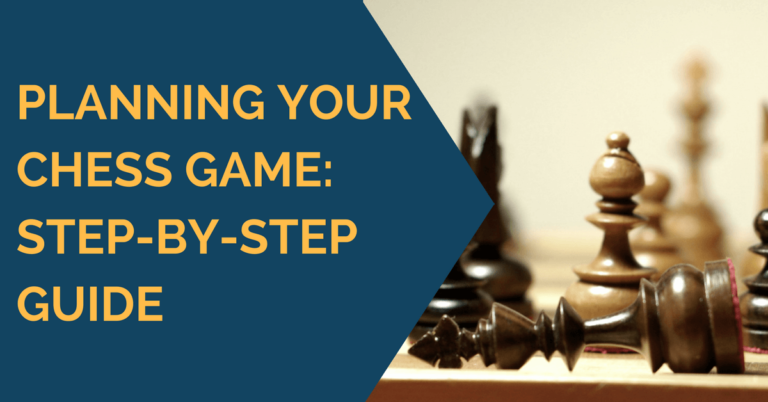 Having a plan is crucial for chess success. After seeing an opponent’s move and looking at the position of all the chess pieces on the board you should have a rough idea about how to proceed in the game. It’s not good enough to only know what you will do the next move. You should have a general idea how you plan to continue to develop and attack. It may not always be possible to have a plan that you can follow exactly step by step for 20 moves. The game of chess is full of surprises and opportunities. You never know what problems your opponent can set in front of you but if you have a plan, even a simple one, you can always be sure that you not wasting your moves and working towards your goal. 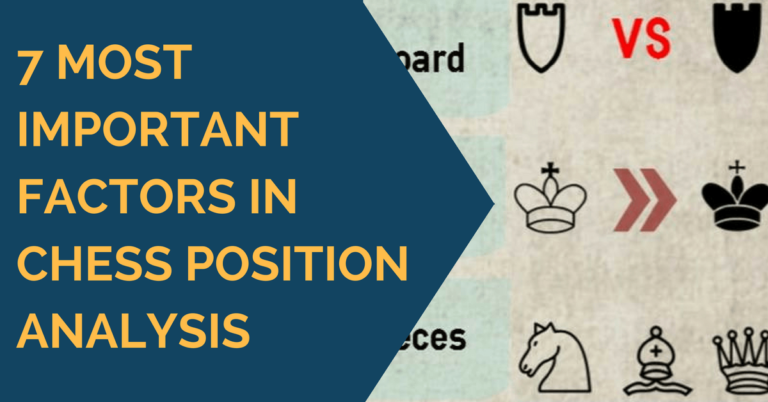 A simple plan can be a 3-4 move sequence about, for example relocating a knight into a better square, or launching a pawns attack towards the opponent’s king, or supporting a past pawn and helping it to promote, etc. It should be noted that having a plan also will give you a psychological advantage against your opponent; he will see that you trying to achieve something specific and not just moving pieces around the board just for sake of it. Especially, if your opponent does not have a plan of his own and if you do he will really feel uncomfortable in this game. Even if your opponent does have a plan too, he will maybe get a doubt in his mind and be more hesitant asking himself if he is “doing the right things” or if his attack is “quick enough”? Regardless, you will greatly benefit from having a chess plan. If you want to further explore this topic you should read about chess psychology. To win a game of chess you don’t actually need to make the absolutely best move available on the board. Making a move that is better than your opponent’s is usually sufficient enough for securing a good result. But how do we know if the move you’re about to make is a good move or if it is better than your opponent’s? Unless you’re a computer you cannot know for sure (even they make mistakes in some positions, believe it or not). Therefore, humans need a different algorithm for playing chess than machines do. After you have evaluated the opponent’s move, figured out its purpose, or absence of it (believe it or not it happens more than often), come up with a simple plan, you are ready to make a move. But wait, just one second, let’s discuss specific traits that good move usually has. – if you are playing against a stronger opponent, you don’t want to exchange too many pieces since that will lead to some sort of standard endgame in which stronger players are usually superior. There are exceptions, if you believe that endgame is the strongest element of your chess, you should aim for the endgame. Before any piece exchanges occur you should think first how that will change the game and only then decide exchange pieces or not. Regardless of how good your position is chess wise, you can still lose chess game if you run out of time. Therefore, clock management becomes an important part of competition. There are some people who almost never get into time trouble, while there are others that almost always do. The basic idea of efficient chess management lays in one simple rule: don’t spend too much time where it does not need to be spent. For example, the majority of people who do get into time trouble would have a difficult time deciding what move to play when they have two equivalent alternatives. They are chess idealists and they will think for 20 minutes which rook needs to occupy the file when in reality it does not really matter. They will try to find the ideal moves and spend all their time. Then they will drop a piece when they have 5 minutes for 20 moves to make a time control. Don’t be like them. Think rationally. Spend time wisely. Playing too fast is another extreme. Some players try to play blitz during 2 hours game, which never is a good idea. Why give your opponent such a huge advantage for nothing? If you want to learn more about managing time in chess I recommend reviewing how to manage time at chess. My Chess is improving thanks to you! Thank you, simple and clear plan to follow !